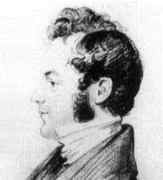 John Pratt's mother was Elizabeth Jowett and his father was Josiah Pratt, a vicar in the Church of England. There is some ambiguity about his date of birth. See THIS LINK. John attended Oakham School, Rutland, before matriculating at Gonville and Caius College, Cambridge in 1829. He received his B.A. in 1833 being ranked as third Wrangler, an excellent result, and he was elected to a Fellowship. In 1836 he received his M.A. from Christ's and Sidney Sussex College. John's father, Josiah, was secretary of the Church Missionary Society and John left university with two strong drives inside him, one coming from his exceptional scientific ability, the other from the missionary zeal coming through his father. Pratt obtained a chaplaincy appointment with the East India Company in 1838. He remained in India for the rest of his life, becoming chaplain to Daniel Wilson, the Bishop of Calcutta, in 1844. Then in 1850 Pratt was appointed Archdeacon of Calcutta. His first work, published in 1836, was The mathematical principles of mechanical philosophy. He revised the work in 1842, then expanded and republished it under the title On attractions, Laplace's functions and the figure of the Earth in 1860. This work of Pratt's was, as the title indicates, on the shape of the Earth. He assumed that the Earth behaved as a fluid and showed, as Newton had done, that the resulting shape would be an oblate spheroid. He gave 26.9 miles as the difference between the equatorial and polar axes, quite a good result. Pratt's next contribution was motivated by measurements made by George Everest published in 1847 (Mount Everest was renamed in his honour in 1865). Everest had spent 25 years between 1818 and 1843 making a trigonometric survey of India, including measuring the 11.5 degree arc of the meridian from the Himalayas to Cape Comorin, the most southerly point of the Indian subcontinent. He noted that there was a small difference in this measurement compared with that made by astronomical methods, but put this down to errors in the measurements. Pratt, however, looked for other reasons for obtaining different values. He took into account the fact that the gravitational mass of the Himalayas would cause deviations in plumb-lines. He found that when he took the mass of the Himalayas into account, rather than explaining the difference as he had hoped, plumb-lines were not deflected towards the mountains as much as would be expected. In fact the difference discovered by George Everest should have been larger! In 1855 Pratt postulated density differences in the Earth's crust, lower densities under mountains, higher densities in lowlands, to explain the (too nearly constant) values obtained for gravity at a given latitude. This is included in the rewrite of his work in 1860. In the same year, 1855, Airy offered a different explanation of the gravitational data. Both Pratt's and Airy's proposals have their merits but are oversimplifications of the actual situation. ... one of the ablest theologians and most devoted divines ... that England ever sent to India ... a quiet earnest worker, solitary in his habits ... a wise counsellor ... and an ardent, though undemonstrative contraversialist. Pratt died of cholera while on a visit to Ghazipur in India.